We’re a few months from finally seeing Batman fight Superman on the big screen. But what if their big-screen battle debut happened decades earlier? 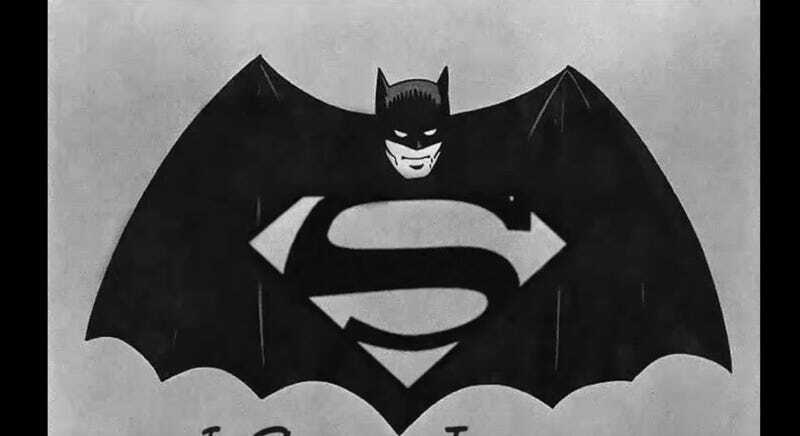 The team at Vulture has imagined it in Batman v Superman Circa 1949. This trailer is a hoot, mostly because it’s edited to make Superman look like a crazy killer and the only person who can help is Batman. Then you get an old-school Batman with the long, wobbly ears and it’s just adorable. Fun stuff! The real Batman v Superman: Dawn of Justice opens March 25, 2016.